GTBank FSHN WKND 2016 took place in Lagos and I attended on the last day-Sunday. There was a lot to see and I picked up a few bargains! I can't wait to release them one by one. LOL.I got pieces as low as N3,500 pere! Thats the kind of price I like. It pained me that I was not around for the first day because I believe there were more and better deals then. Anyways this is the look I wore on the day, rocking my favourite scarf and these brown tones. I love it! Don't side eye me, SisiWeekly is going to be back on Monday but for now, get ready with me! 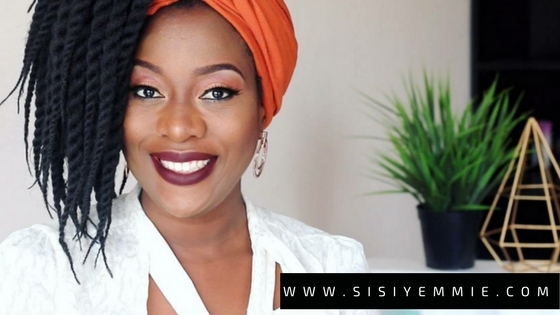 My Instagram https://instagram.com/sisi_yemmie so make sure you're following me there for updates. I'll be running a really fab giveaway there shortly. Also don't forget to SUBSCRIBE to my Channel on YouTube. Just click HERE. I really have to tie my scarf like you the next time I get braids or twists or any big hairstyle. Sisi did you change your camera? Everything looking beautiful! But thank God am back, please what did i miss?